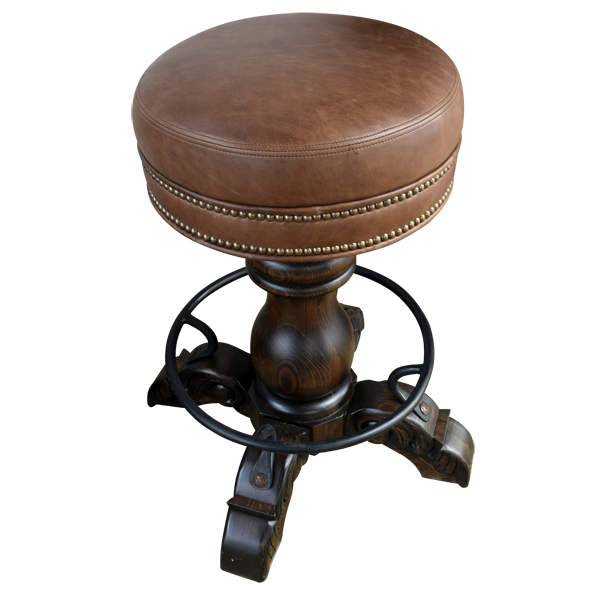 The top of this handsome bar stool is covered in a rich brown leather, hand tacked by our craftsmen. This is an example of the care and detail we use in making our furniture, including your bar stool. 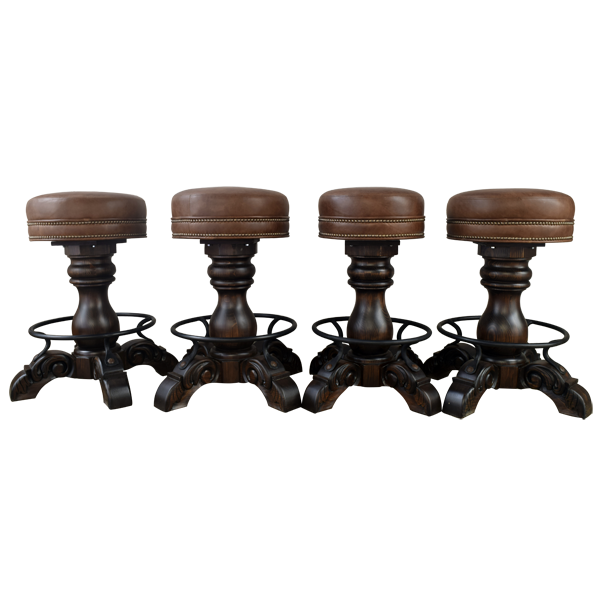 This bar stool contains the same designs as found in all El Matador Bajo bar stools, such as a circular seat covered with rich leather and real cowhide hand tacked around the base, trumpet pedestal, four hand-carved feet, and hand forged iron circular footrest. 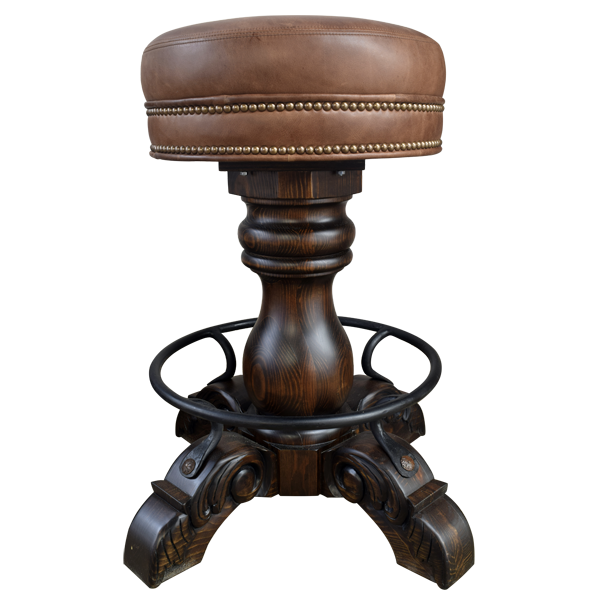 As in all of the designs in our El Matador Bajo bar stool series, it swivels 360° and is 100% customizable.